The R&S®FS-K196 enables R&D engineers to investigate the in-band signal properties that result from generalized frequency division multiplexing (GFDM) and universal filtered multicarrier (UFMC), which are two of the proposed formats for a 5G air Interface. The R&S®FS-K196 extends the capabilities of the R&S®FS-K96 and R&S®FS-K96PC general-purpose OFDM demodulators by adding two new formats: GFDM and UFMC. GFDM and UFMC are proposed air interface candidates for 5G. The R&S®FS-K196 extends the capabilities of the R&S®FS‑K96 and R&S®FS‑K96PC general-purpose OFDM demodulators by adding two new formats: GFDM and UFMC. GFDM and UFMC are proposed air interface candidates for 5G. They address the relatively high out-of-band emissions from OFDM signals by filtering the signal, which changes the signal’s in-band performance. The GFDM and UFDM signal parameters are set with configuration files created in Matlab®. Researchers and development engineers can use the R&S®FS-K196 to investigate the effects on signal quality, such as error vector magnitude and the Distribution of signal distortion over both frequency and time. 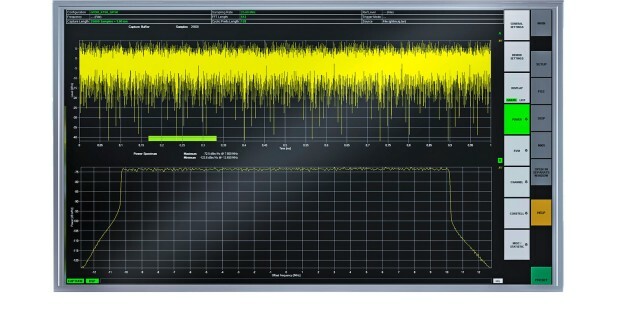 The R&S®FS-K196 facilitates the measurement of Modulator parameters such as I/Q imbalance and offset during the early stages of developing a 5G transmitter, enabling faster development.